The Diesel DZ4160 Freak of Nature Watch certainly looks different to some of the watches we have seen here at geeky gadgets, whether or not that is a good thing, I am not sure. 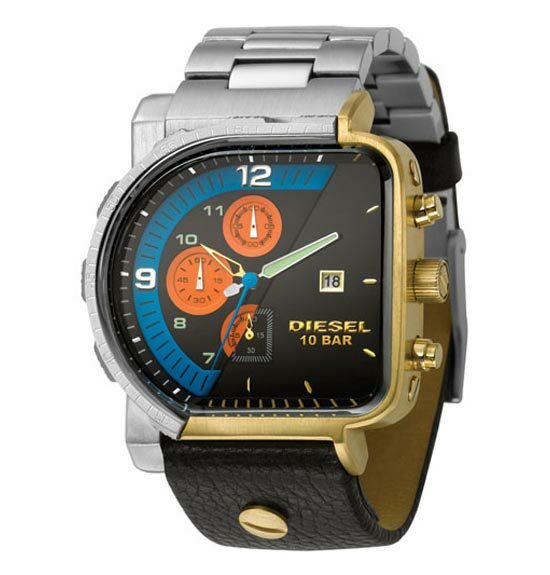 The Diesel Freak of Nature Watch is a combination of two watches in one, and its looks like they have been chopped in half and stuck together from the photo. One half of the watch face features a steel case with a chronograph dial, the other features a gold case with a standard watch dial and a leather strap. If you want one of these strange looking timepieces they are available for $219 from Watchismo.